This article was written by our guest Laura from Every Day by the Lake. All thoughts expressed are solely those of the author. Enjoy! If your wallet is vigorously shaking its head or your bank balance is as red as a rose, fret not. 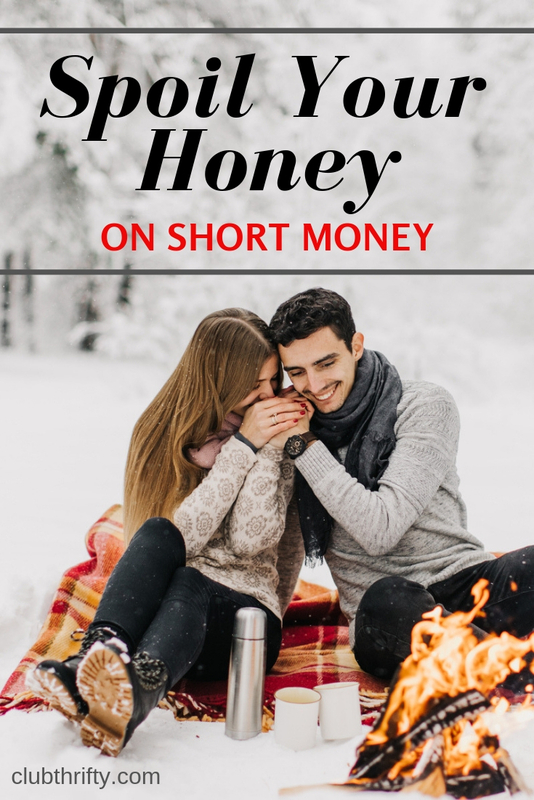 You can still embrace your inner cupid and spoil your honey on short money. Let’s dive into seven ways you can celebrate the Day of Love on the cheap. Caution: For some of these, you’re going to want to pair some wine with this cheese. But hey – it’s Valentine’s Day! If you’ve been together for awhile, it might be time for some romantic nostalgia. Think back on what you did the first time you hung out as more than just friends. Unless you took a jet to Milan, you can probably recreate it without breaking the bank. Did you get pizza and then go to the movies? Pick up a frozen pie (or make your own) and watch Netflix from your couch. You can have a fun evening with lots of snuggles for less than $20. This gift is sure to rekindle and nurture the spark without burning through your bankroll. If you look in your photo album and the last picture of the two of you together is at the prom circa 2003, it might be time for an update. Photos help to chronicle your life and preserve memories. You’ll be thankful to have reminders of your days together as time goes on. This gift is especially impactful if you hate having your picture taken and your sweetheart loves it. They will really appreciate your effort. And, with the quality of smartphone cameras these days, no fancy equipment is needed, making this heartfelt gesture gratis. What does your honey complain about most when it comes to where they live? If the house or apartment needs a third bedroom or the kitchen appliances are outdated, there’s no cheap fix. But, if your SO hates the color of the front door or wishes the living room had better lighting, there’s an opportunity to be a sweetie. You can have that door beautified in an afternoon and it will only cost you a can of paint (assuming you have the brushes and rollers already). That living room will be better lit with the addition of some stylish lamps that you can buy second-hand for a bargain. Every time your love sees the improvements, they’ll remember how much you care. Caveats: If you don’t live together, be sure to run your gift idea by your significant other beforehand unless you are doing the exact thing that they’ve said they wanted. Otherwise, your loving gesture may be met with irritation instead of gratitude. The keyword here is plan. While you can probably have a fun day out on short money, when you’re just planning, you don’t have to be frugal! You can let your imaginations run wild and design the most romantic getaway ever. And, if you become completely enamored with this dream, you can take it a step further. You can look for ways to make it happen and start laying out the steps needed to make it a reality. Creating and planning for a dream trip together will be fun (and free! ), but it’s also a powerful way to reinforce that there’s an exciting future ahead for the two of you. This is a tried and true classic. Buying the ingredients for your favorite meal will cost less than having it prepared in a restaurant. And cooking with your SO is sure to provide great bonding time while you share the achievement of replicating the dish. The best (frugal) part? Leftovers! If you’re the creative type, you can demonstrate and immortalize your feelings for your beloved by making a piece of art in their honor. Writing a poem, painting a mural, or singing a song are great ways to express your love. 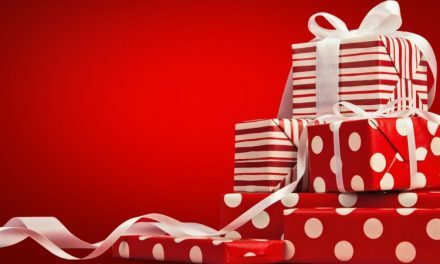 These unique (and inexpensive) gifts will be treasured for always. If you want to show your affections throughout the year, make a coupon book for your better half. You can include the old standbys of hugs, kisses, and backrubs. But there’s also a lot of opportunity to customize. Include coupons that cover tasks they dislike (like folding laundry or taking out the trash) or ways to make their life easier (think running errands or brewing their coffee). By allowing your honey to redeem these favors whenever the mood strikes, you’re showing a real commitment to their happiness. Nothing’s sweeter than that. Unless you’ve got a brown thumb, planting flowers for your heart’s desire is a much better way to show your everlasting love than buying a vase full that will die in a week. Of course, Valentine’s Day occurs when most people in the United States are in the throngs of winter, putting the kibosh on planting outside. However, you can start many plants indoors or pick up some seeds to sow in the warmer months. Your local home improvement store will offer several low-cost options. Every time your sweetie looks at those flowers, your love will bloom all over again. The bottom line to making Valentine’s Day wallet-friendly? Remember that the purpose of the holiday is to show how much your loved one means to you. The best way isn’t with the outlay of cash, but with the investment of time. Time is the most precious resource that anyone has. 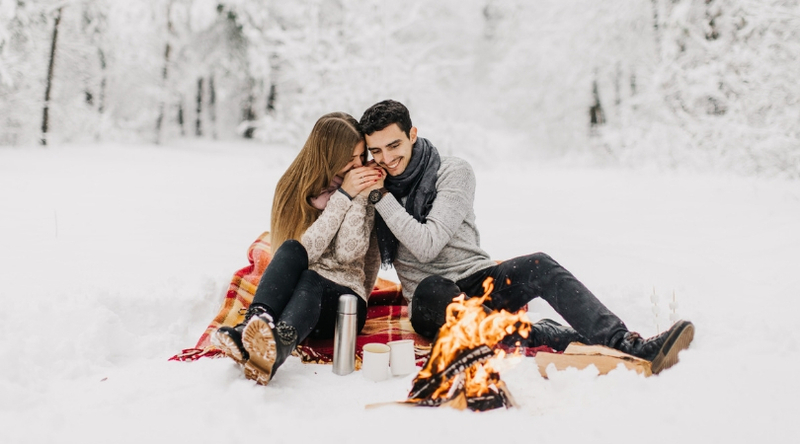 If you use your limited moments to demonstrate your love, your honey will be hooked and you’ll spend many more years as each other’s Valentine. What’s the least expensive Valentine’s Day gift that swept you off your feet? The most expensive? Laura Gariepy is the owner of Every Day by the Lake, a content creation company. She provides custom content solutions to business owners so that their audience is inspired to do business with them. Laura blogs about business, careers, personal finance, and of course, content creation. When she isn’t writing, she’s hanging out with her fiancé, her mother-in-law, and her cats, sitting happily by her lake. You can follow her on Twitter, Facebook, or LinkedIn. PreviousIs Travel Insurance Worth It? Cheap Vegan Meals: Can You Be a Vegan on a Budget?